It’s well known that LinkedIn isn’t the place to post pictures of your cats or break the news that you’re enjoying a cuppa. The point of being on the network is to build your professional connections and put the feelers out for business opportunities. But is your profile up to the job? In this post, we look at five ways you can spruce it up, to represent a more clear reflection of what makes you great. Your LinkedIn profile picture should be an accurate reflection of you as a professional. This means that pictures from your holiday, that rowdy night out or of you and your cat are out of the question. Use a headshot and make sure you’re smiling. The photograph should also be in colour, well lit and good quality. Extra tip: Take a photograph especially for LinkedIn of yourself in front of a coloured wall. This will help your profile to stand out when it appears in search results. Social Media Expert, Author and Trainer | Practical Social Media Training | Facebook Marketing Specialist. The experience section is your opportunity to sell yourself. First and foremost, make it personal and include the things you are most proud of or that have shaped where you are today. Share ample information about the companies you have worked for and your responsibilities in your roles. Flesh out each section as much as you can – why waste real estate that you could be using to build up your credibility? See your profile as a timeline of your growth as a professional. It’s your stage, so shine! Don’t leave out the summary section as it’s another chance for you to showcase all of your best qualities. Use the space to summarise what you feel are your best achievements, to state what your passions are and whether you’re looking for any opportunities. As this section is at the top of your profile, it’s the first place your visitors will go to find out about you – so make it count! You can also include links in the summary to personal work you are proud of or to areas of your company website. Relevant videos and images can also help to give visual appeal to your profile and again, beef up its content. Think of your profile as a website and aim to engage your readers to retain their interest for as long as possible. The skills section is your opportunity to list everything you can offer. There are 50 spots up for grabs so use as many as you can to create a comprehensive list of the skills you have. The skills you enter will also affect which keywords you’re ranked for in search results, helping your profile to get found by more relevant people on the network. Getting a recommendation isn’t as easy a task but certainly worth the extra effort. Only ever ask for recommendations from people that you know/have worked with and make sure your message is personal. When asking for recommendations you’re asking for your connections to set time aside to write nice things about you, so be appreciative and kind – return the favour! 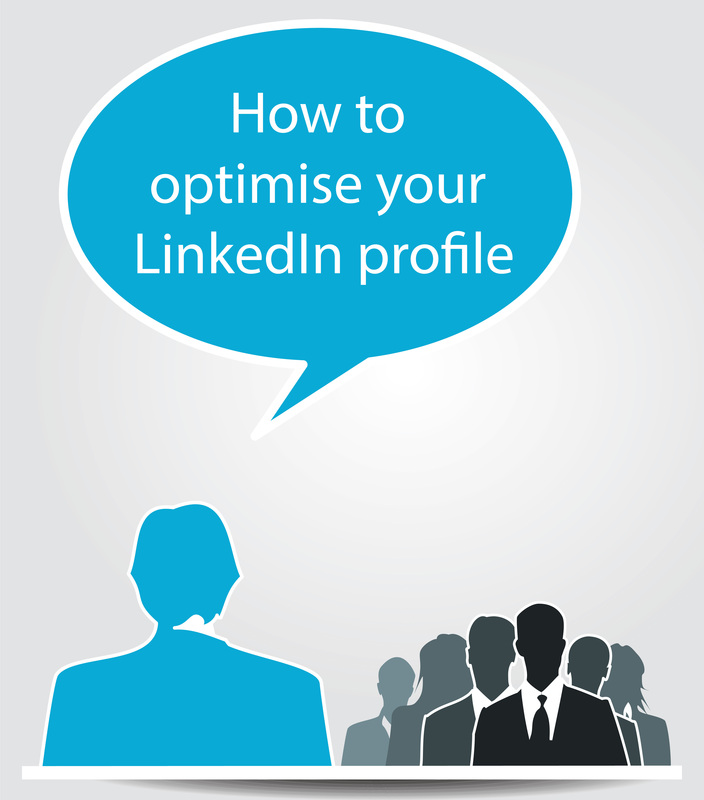 Every LinkedIn user can benefit from a fully optimised LinkedIn profile. The more you put in to setting your stage on the network then the more you’ll get out of being there. Whether you’re looking to making connections with others in your industry, find a new position, network more with those you already know or learn about your target audience, LinkedIn is the place to be. This entry was posted in Social Media and tagged how to improve your linkedin profile, how to optimise your linkedin profile, improve your linkedin, linkedin, linkedin profile on July 5, 2014 by Pinnacle.